Efficiently written SQL code means efficient CPU usage, improved response time, reduced I/O activity, and reduced resource locking. 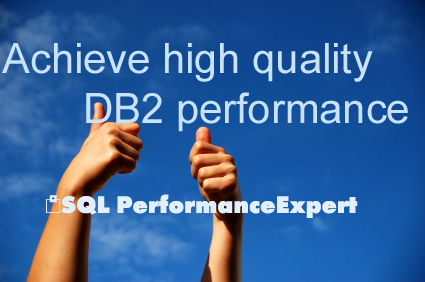 Interactive testing with SQL PerformanceExpert (SPX) assures best SQL performance already from the beginning of the development phase. The product assists in writing SQL, streamlines quality assurance QA and identifies performance bottlenecks in production. SPX analyzes SQL performance and identifies Db2 SQL tuning changes that improve application performance, pinpointing problem areas and saving time and money associated with inefficient applications.